The Houston Police Officers Union said someone drove by and fired three shots at an officer on a traffic stop in the 800 block of South Post Oak Boulvevard on Tuesday, reports KPRC. Police say the officer had his back turned to traffic. 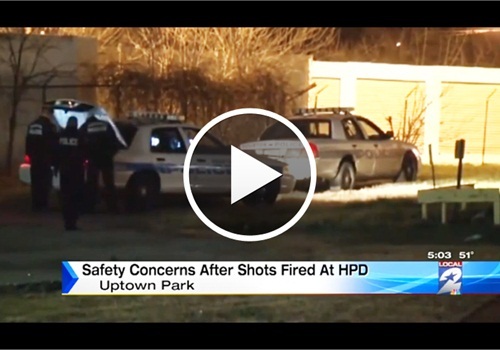 "It's time for our department to do everything possible to protect our officers' safety while they work to keep the public safe," said Ray Hunt, president of the Houston Police Officers Union. He asked HPD chief Charles McLelland to put two police officers in each patrol car out of a concern for officer safety.